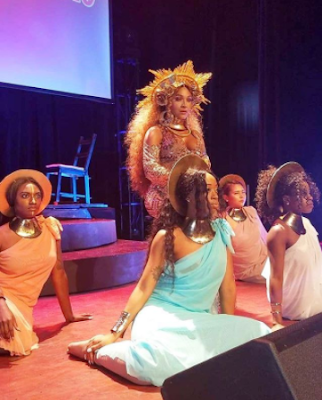 Home / celebrity / ENTERTAINMENT / Did this Beyonce impersonator knock out the singer's outfit at the Grammy Awards 2017? Did this Beyonce impersonator knock out the singer's outfit at the Grammy Awards 2017? 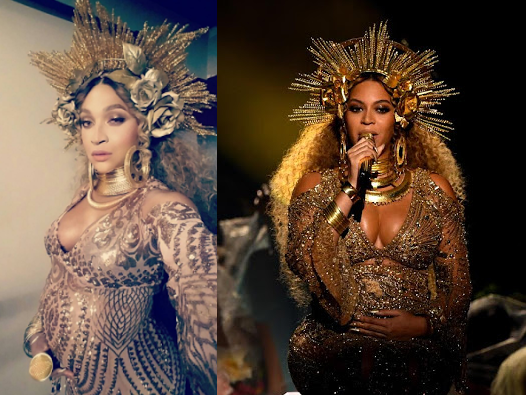 Actress, Riley Knoxx, who has also created a career from being a Beyonce impersonator, shared these photos of herself imitating one of the singer's glittering gold dress at the 2017 Grammy awards. Did she rock it well? See another photos after the cut.